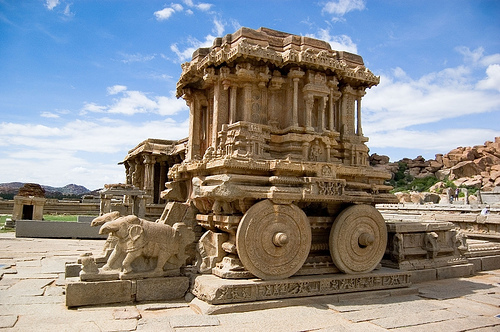 Hampi- an archaeologist`s paradise and a tourist`s most sought after destination, is situated about 365 km from Bangalore. 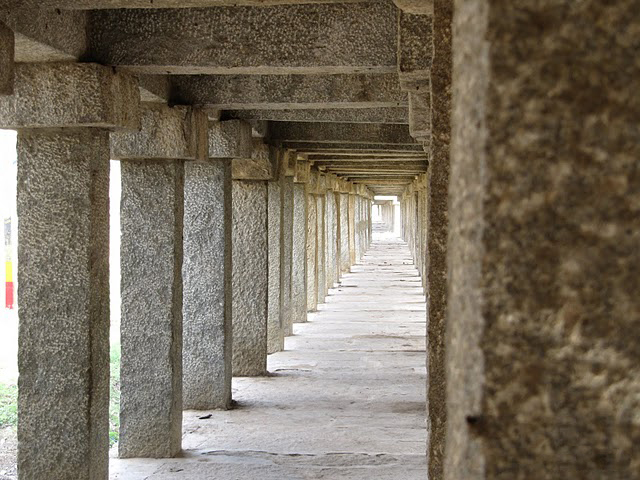 The primary connectivity to Hampi is by road. Rail connection comes second and the air link is the third option. By Air: The nearest airport is Bellary 60km, Belgaum 190 km and Bangalore 350 km. By Train: Hampi is well connected by railways to different parts of India. The nearest railway station from Hampi is Hospet, which lies at about 13 km from Hampi. By Road: Hampi is well connected to Bangalore, Mangalore, Bijapur, Hubli, Guntakal, Hyderabad and Goa. The nearest town Hospet, has a bus station too with frequent bus services to the above mentioned cities. Vittala Temple: Lord Vittala was the cult diety of the cattle herds. 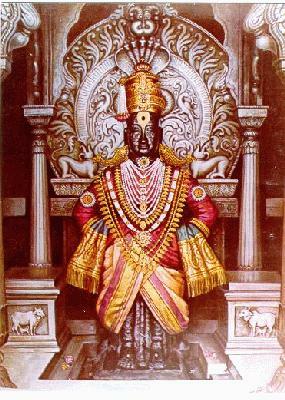 Vittala is also an incarnation of Lord Vishnu. The temple was originally built in the 15th century AD. ‘Garuda’, the ‘Eagle God’ enshrined within. The pillars within the temple have carvings of lotus and tipped corbels. Composite pillars and artistic depictions of Narasimha, slaying Hiranyakashipu are seen within the temple. The Vittala temple is also well known for the musical pillars .They are going to bowl you over with reverberating music that fills up the atmosphere as you strike it gently. To witness this truly mystifying spell you must visit the Vittala temple at Hampi. This temple is believed to have existed before the Vijayanagara capital was located here. Inscriptions date back to the 9th and 10th centuries. It initially started as a shrine and grew to a large complex that you will see now. Most of the temples found in the complex have been installed during the Vijayanagar period. The most interesting feature of the Virupaksha Temple is that, river Thungabhadra flows along the terrace and then flows into the kitchen and out through the outer courtyard. Inscriptions prove that Krishnadevaraya an emperor of the Vijayanagar dynasty commissioned this hall in 1510 AD. The other important pieces of sculpture seen at Hampi include Ugranarasimha(a fierce form of Lord Vishnu).The image of Laxmi which lay on one knee of this idol had fallen off and is now preserved at the museum at Kamalapuram. Kodandarama temple: Kodandarama temple is still in use and the main deities worshipped here are Rama, Sita and Laxman. Well the temple was built when Lord Ram crowned Sugriva. Sugrivas cave is another place you must visit. Underground Shiva Temple: The most alluring part of mystic Hampi is the underground spectacle of lingas. It is termed underground because the roof of the temple is at ground level. Lotus Mahal: Built entirely of stone and having Islamic influence in architecture, this was built for the queens. Pushkarini: Essentially a stepped well, it was used by the royal womenfolk. Do not miss the elephant stables and the Guard Barracks. While you are at Hampi visit the shores of Tungabhadra River and check out the 1008 lingas that are engraved on a rock or boulder. Only basic to moderate amenities are present in Hampi. Hii...Informative post.I liked the way you put up the information.I am panning to visit br hills resort and also bandipur resorts this weekend with my family. because their facilites,sevices offered at low cost,Wildlife Safari really really awesome..